As I mentioned in my last post, with the help of Keith's parents, we built a limestone / native rock patio this past Memorial Weekend. Now that we know there is a good chance we'll have to re-do sections of it to fix our sunroom foundation, I've started planning for a future dream patio. I took a planter-box building class a few months ago and we're planning to use my new building skills to have a planter box between our side fence and patio with some mosquito-repelling plants and perhaps wildflowers. Long term, we also want some flower beds along the back fence of our yard. We've been brainstorming ideas for how to keep our dogs and other pesky animals out, and though that project is quite a ways out, I'm excited about the idea of growing our own fruits and vegetables. Keith and I also plan to eventually build a fire pit off the side of the patio and perhaps a pergola with bamboo covering over the top to add more shade over the dining area of our patio. I'd love to find a way to reuse all the colored vases from our wedding as lights outside, but I have yet to start doing much research on that. 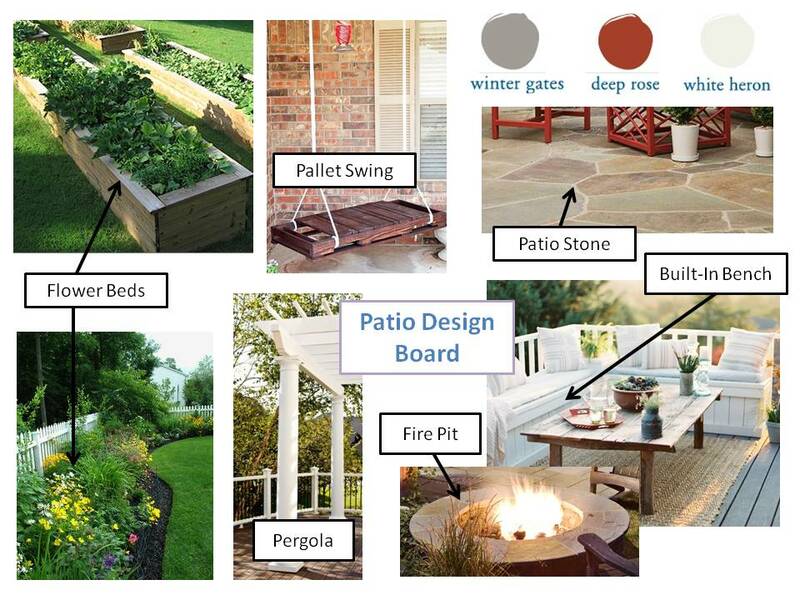 Do you have any outdoor projects planned for the fall when the weather gets a bit nicer?